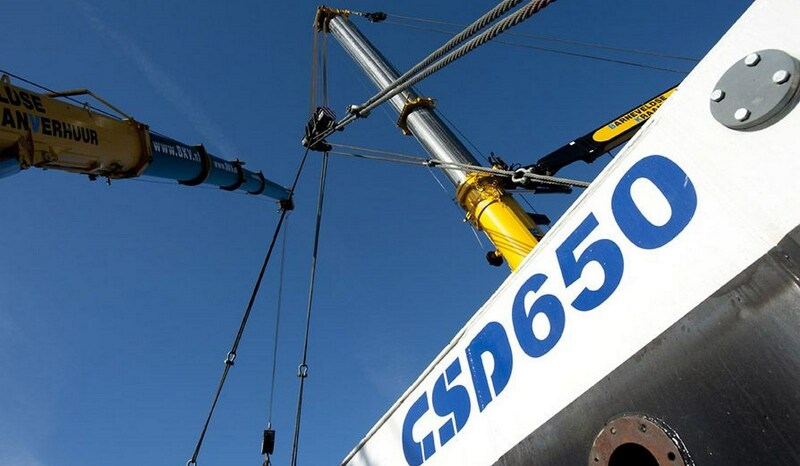 The 70 m long Cutter Suction Dredger has an impressive swing width of 71 m at its max. dredging depth of -25m. The stationary dredger has a swing angle of 2 x 40°. 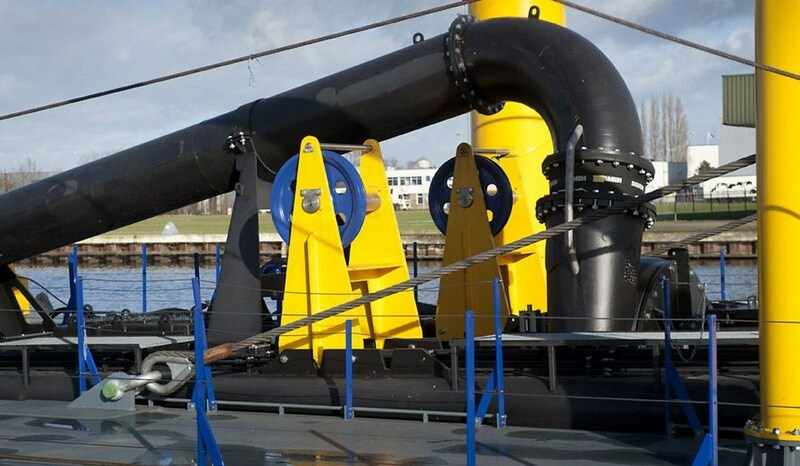 The submersed dredge pump and the inboard dredge pump work in series, which results in important discharge distances. 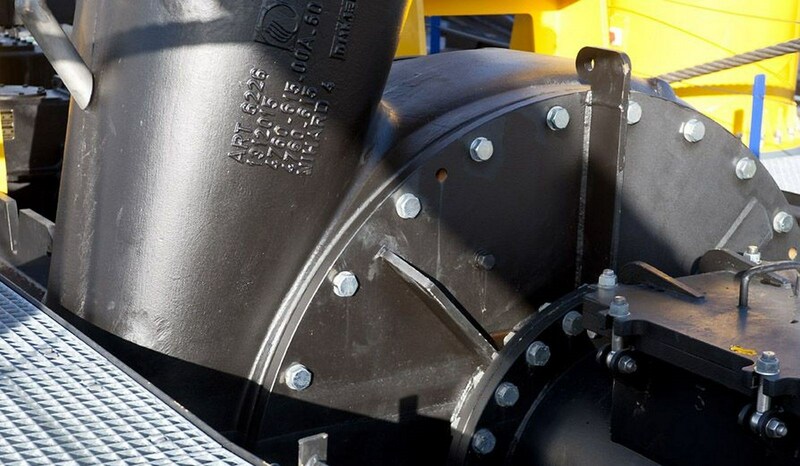 The total dredge pump power available is 2819 kW. 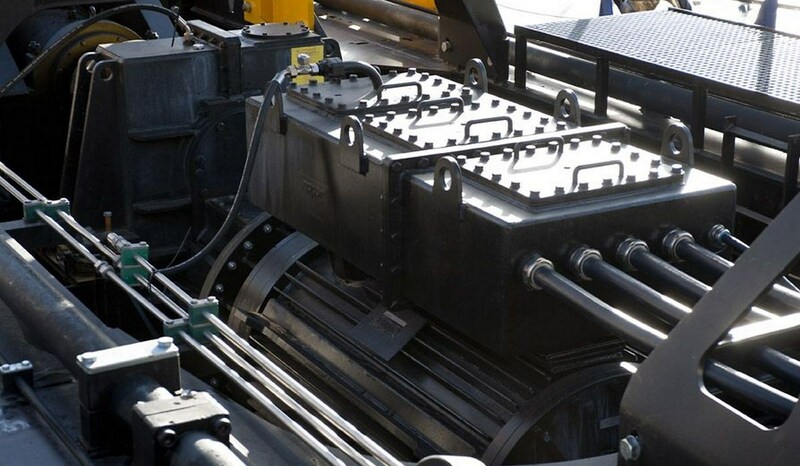 The heavy-duty side wire winches transfer the high cutter power effectively to the bottom. The respectable 700 kW cutter power installed easily deals with harder soils.